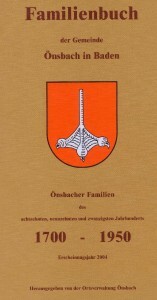 On these pages are familytrees of different Hofer families. An important familytree is the familytree of the famous Austrian (Tiroloean) freedomfighter Andreas Hofer (1767-1810) who fought against Napoleon, and the other familytree is of a Dutch family Hofer. This family claimed to be related to Andreas Hofer. See the familytrees and make your own conclusion. These familytrees were the start of this site. Now there are more familytrees on this site, and so the goal of this site changed: to find and publish familytrees of several families Hofer worldwide. Perhaps some of those familytrees may be linked together! You will see that there is no link between de predescestors of the Austrian Andreas Hofer and any now living Hofer. I conclude this after reading of “Andreas Hofer, Seine Familie, seine Vorfahren und seine Nachkommen”, and the letter from the amerikan ambassy. Another important source wich proves the familytree of Andreas hofer is the Ahnenpas of Fritz Holzknecht. 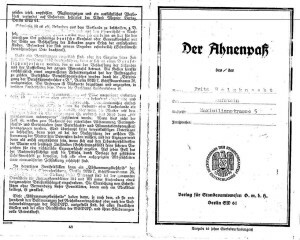 An Ahnenpas was required by the Germans during the Second World War to prove that someone is not jewis. 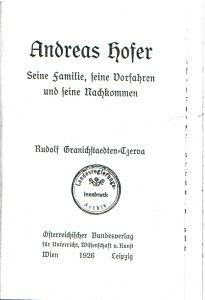 The familytree of Andreas Hofer is made according the book “Andreas Hofer, Seine Familie, seine Vorfahren und seine Nachkommen” and is therefor highly reliable. The familytree of my wife is, according the many documents I have, also highly reliable. Conclusion taken from this boek is that there are no direct male relatives are of the freedomfighter Andreas Hofer, and that the family of my wife is not related to him. There are living predescestors of Andreas Hofer today from female lines, but the do NOT have the lastname Hofer! Example is the family Holzknecht. From female lines there are about 350 relatives living (source: familymember of the family Holzknecht). 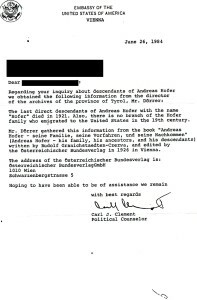 It is still possible that there is someone alive who is really descendant from Andreas Hofer. So if you think you are related, please do research and find evidence! If you are related to anyone from the familytrees on this site, I would like to contact you. Also if you have information about the coat of arms. You may send me your own familytree of your Hofer family, so I can include it on my site. And I would like to get into contact with famale predescestors from Andreas Hofer (such as the family Holzknecht). 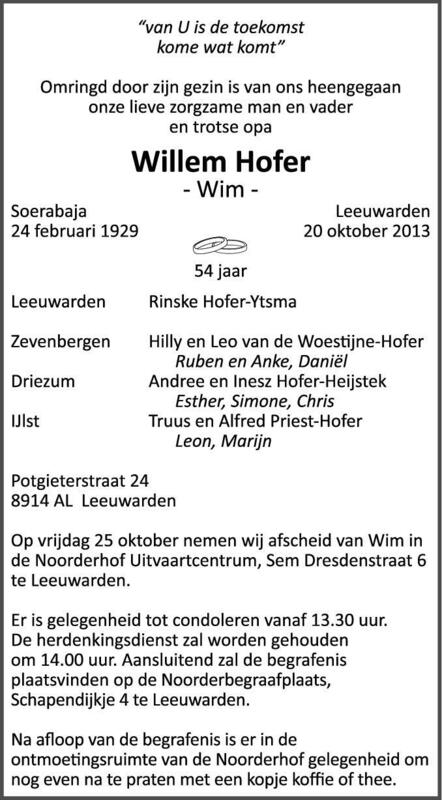 Many thanks to Wim Hofer (died 2013), who gave me a lot of information. He went several times, in his summer holidays, to Austria to do research in old archives. He gave all his information, including an old letter and several certificates to me for publication on this site.